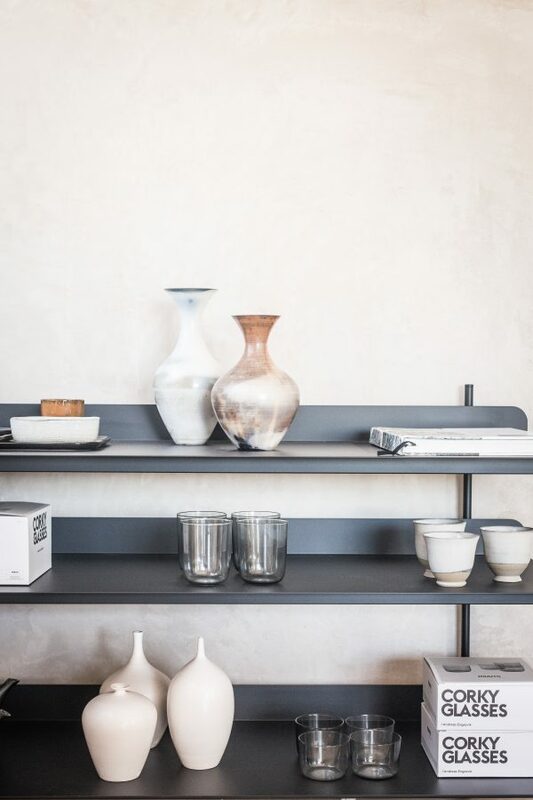 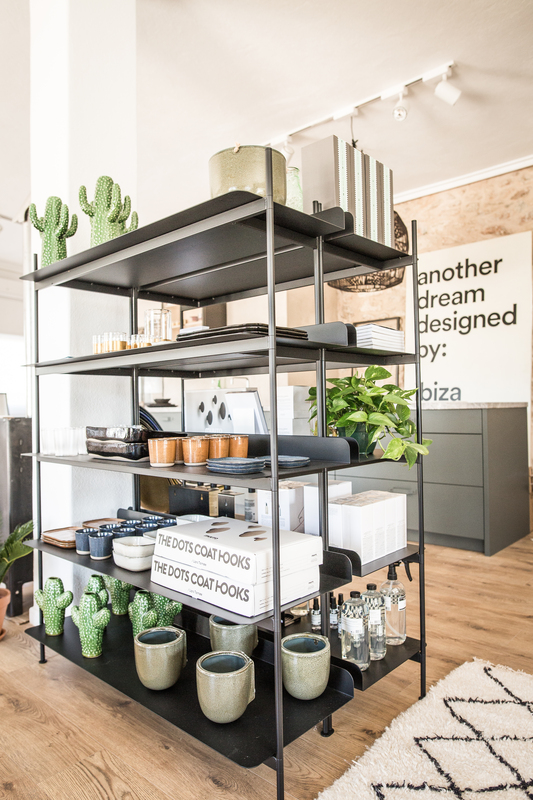 At Ibiza Interiors, we use these shelving system to expose our vases, products, and books. 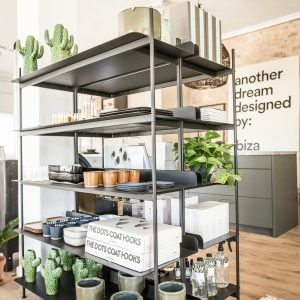 Also, we use to store our working staff and samples. 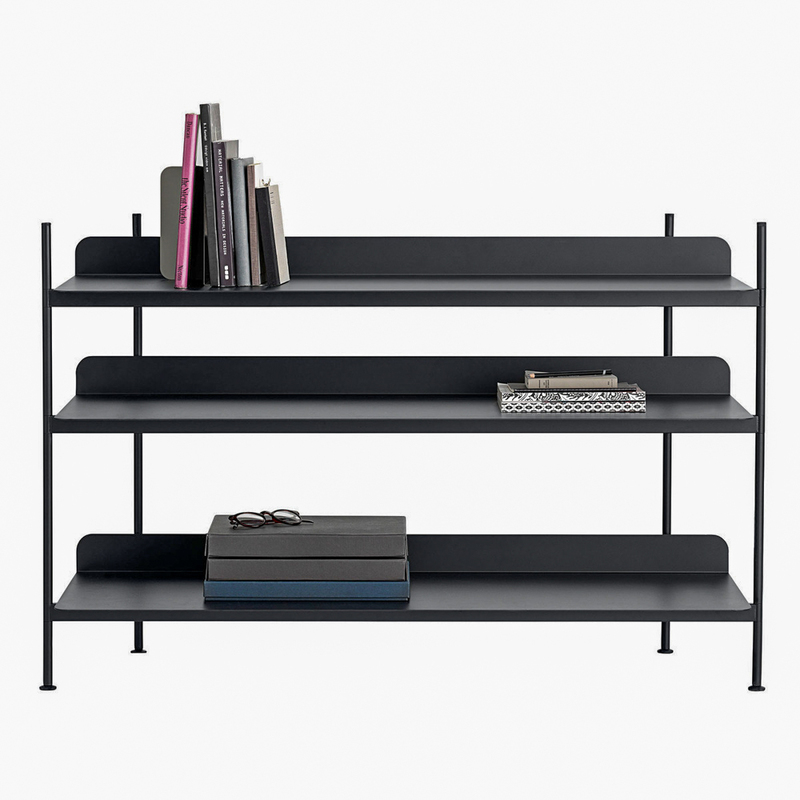 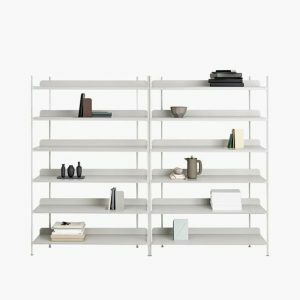 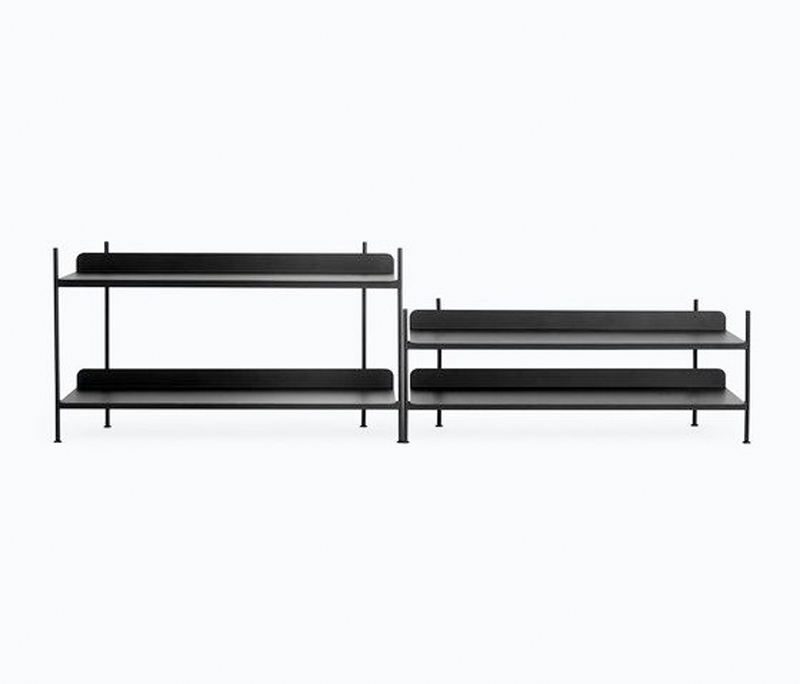 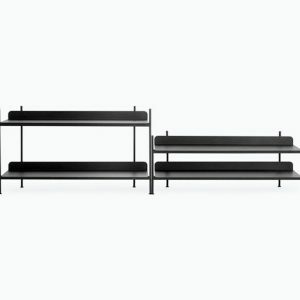 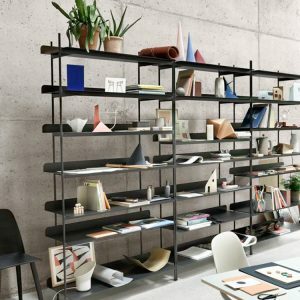 Material: Shelves are made from laser cut steel sheets, bent to form, and then coated with high quality powder coating. This coating gives the shelves a matt, abrasionresistant and fingerprint-insensitive surface. 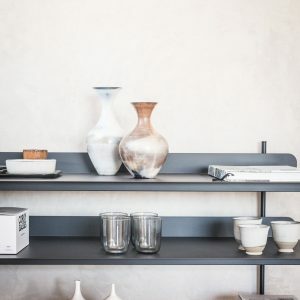 Compile systems should always be mounted to a wall, using wall brackets. 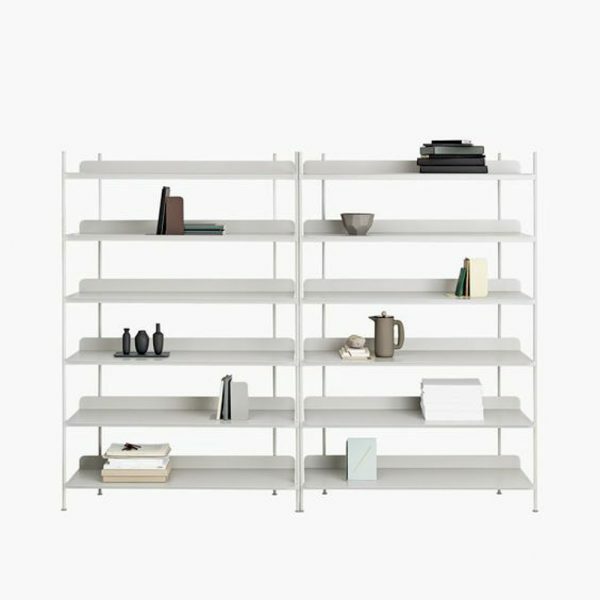 A Compile Shelving System can hold up to 300 kg. 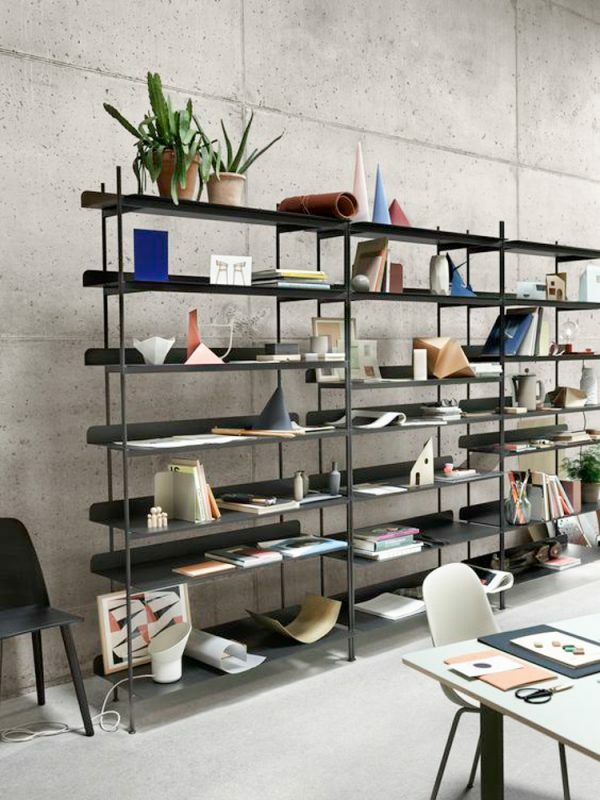 Compile Shelving Systems can be built as tall as wanted, as long as they are mounted to a wall using brackets.